Thai Girls Love Exercise! Do You? Try To Do Fitness In Thailand. No one would argue the value of having a place for fitness in Thailand. You and your Thai girl should work out to stay in good shape physically and mentally. The question is: Where should you and your Thai girl work out? Ask Yourself What Kind Of Gym You And Your Thai Girl Need To Do Fitness in Thailand. If you’ve been reading the past few blogs you’ve followed me on my journey to find a suitable studio for fitness in Thailand. My Thai girl and I finally found one we’ve been attending close to where we live on the outskirts of Bangkok. It has everything we were looking for; racquet courts, free weights, and a swimming pool. It’s also very reasonably priced. I had originally started my search for fitness in Thailand in downtown Bangkok because I figured that’s where the best facilities would be. As it turned out, I was fortunate to find a place much closer to my condo in the suburbs of Bangkok. That helps me avoid an hour’s journey into the city each day. But what if you live downtown? Where can you go? Are You Close To Sukhumvit? This Fitness in Thailand Could Be For You. Actually, I did discover an awesome gym downtown that I would recommend to anyone who has more fitness interests than treadmills and weights. 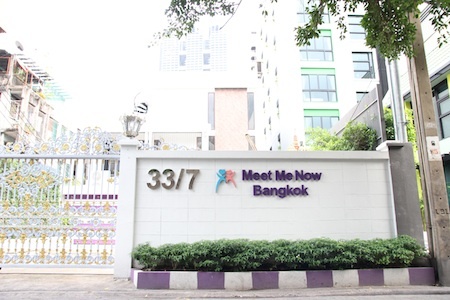 It’s not far off Sukhumvit road on Soi 49. It’s called The Racquet Club. Let me be clear. This is not a paid promotion. I have no relationship to this gym whatsoever. I post this only to help people in Bangkok who may be looking for this type of gym. It’s a big, impressive facility. Would You Like A Big Array Of Activities? It has INDOOR tennis courts as well as a basketball court but that’s not all as far as courts go. They also have badminton courts, squash courts and one racquetball court. If you like racquet sports it’s heaven. They also have a swimming pool. Actually they have three. And what’s really nice is they have competition lanes lined on the bottom of the pools which is really hard to find in Thailand. Of Course There Has To Be One Drawback. The only drawback I found in the whole giant facility is the pools are outside and not covered. That makes it difficult to swim in day time because the hot sun beats down on you. However, if you’re working out after the work day, say around five o’clock pm or later, it wouldn’t be a problem. There is also a hot tub to take advantage of and saunas in the change rooms. I can’t hope to actually list everything available at The Racquet Club so I recommend having a look yourself if you’re interested. Suffice it to say they have all the regular gym type activities too, like cardio equipment, extensive choices in weights, and even a climbing wall. It’s also a very nice place to relax after you finish your work-out. There are spa facilities available if you’d like a relaxing massage and there is a restaurant at the place where you do fitness in Thailand. It’s not a cheap place to buy a membership but at the same time it’s probably the going price in the downtown area. I also think you’d be hard pressed to find so many choices anywhere else. A one-year membership for fitness in Thailand is 21,400 baht. That’s approximately $675 U.S. It’s such an extensive facility I think it’s easily worth that price. If you live downtown this would be the gym I recommend for you. Of course, everyone has different preferences so feel free to do some research on your own. Can You Make The Commitment To Good Health? 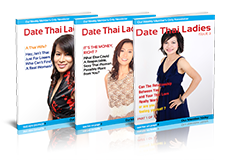 It may be that you and your Thai girl find another place you like. If so, that’s great. It’s not as important to pick the right place as it is to make that commitment to be in shape. I wish happiness and good health to you and your Thai girl. Marc Lewis is a 50-year-old Canadian who has traveled the world extensively both on his own and leading student tours. He’s worked as a high school teacher, business executive and photojournalist. Two years ago Marc met a lovely Thai girl online and moved to Thailand. He currently makes his residence in Bangkok and loves to pursue fitness in Thailand.